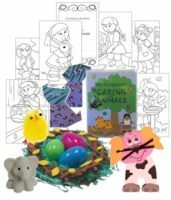 You’ll love the Animal Adventure Badge in a Bag® from MakingFriends®.com! Our kit provides step-by-step instructions for you to guide your girls in completing their Daisy 3 Cheers for Animals JOURNEY*. The program was designed to provide economical, hands-on activities to enhance the girls’ experience and to make your time as a volunteer enjoyable and stress-free. From your local Girl Scout* store, you’ll want to pick up a copy of the Daisy 3 Cheers for Animals* Story Book and set of awards for each girl. You’ll also need some basic craft supplies like scissors and glue, and some miscellaneous items like jumbo craft sticks and craft scraps like foam, yarn or tissue paper. You can also print these flower faces for an added activity. Everything else is included. 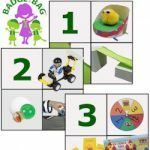 Projects and activities are age-appropriate, designed especially so 1st and 2nd year girls can have plenty of fun while they learn to care about animals. The first five parts can be done in about 45 minutes each. You can finish each part during a meeting or plan day-long event or a troop sleep-over to the complete it in a weekend. 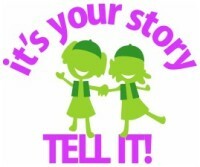 The included activities will fulfill the JOURNEY* requirements and guide you and your girls to choosing a take action project. The sixth and seventh meetings take place after your project is complete. They can be combined into one part. 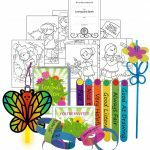 The girls each get a mini scrapbook to hold her coloring pages and other projects they complete along the journey. They will also be making a team mural to display at their celebration. 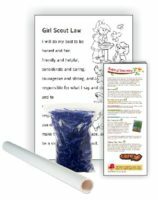 Our Daisy Animal Adventure Badge in a Bag® will teach your girls about being caring and considerate as well as other lessons of the law. Irresistible animal activities including a skit will keep your girls interested while they learn. How Many Girls Total Are There?